In Utero. A snug home for baby to grow. Canvas, paint, material. Often on social media, we capture the beautiful stuff – maybe because we want to remember the beautiful stuff or we are trying to maintain a positive outlook. Maybe, because there is so much crappy stuff on in the world that we need space to look at nice stuff and happy faces as an escape from the misery. However maybe sometimes it’s healthy to discuss and share the reality of our lives as that might just make others feel better too, reassuring them that they are normal, that it is natural to have ups and downs in life. We have a new page called Artful Mamas: A space to chat to Mums about art, mothering, life and the soul’s thirst for creativity. Be inspired by our chat with Anna Trembath on Ephemeral Art. On Saturday, Motherhood Unmasked was privileged to exhibit at the APS Women in Psychology “Motherhood Matters” conference. It was a great opportunity to share the Motherhood Unmasked journey with wonderful women who care deeply about the wellbeing and experiences of mothers. 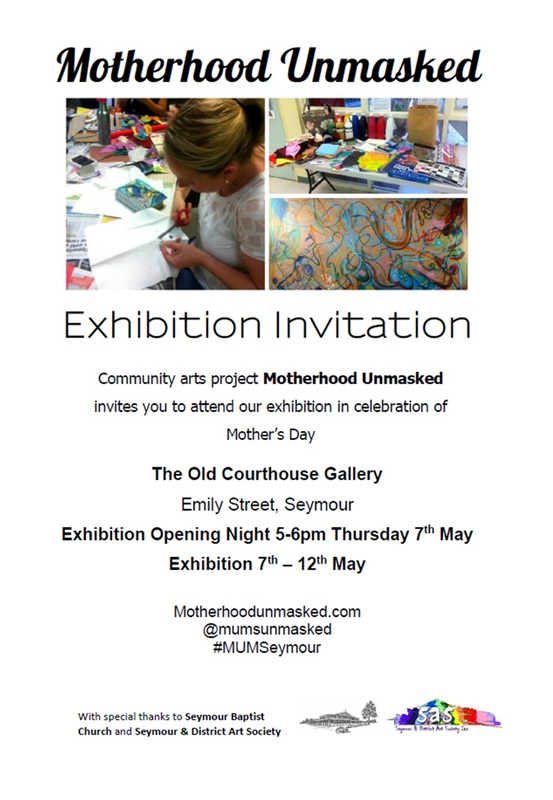 A big thanks to our Motherhood Unmasked mums who contributed their art and reflections for this event! Your courage, honesty and creativity are an inspiration. What a night! 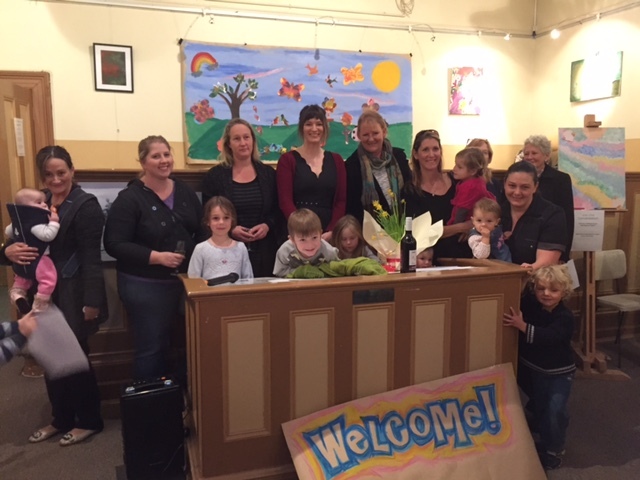 Our exhibition launch went beautifully. 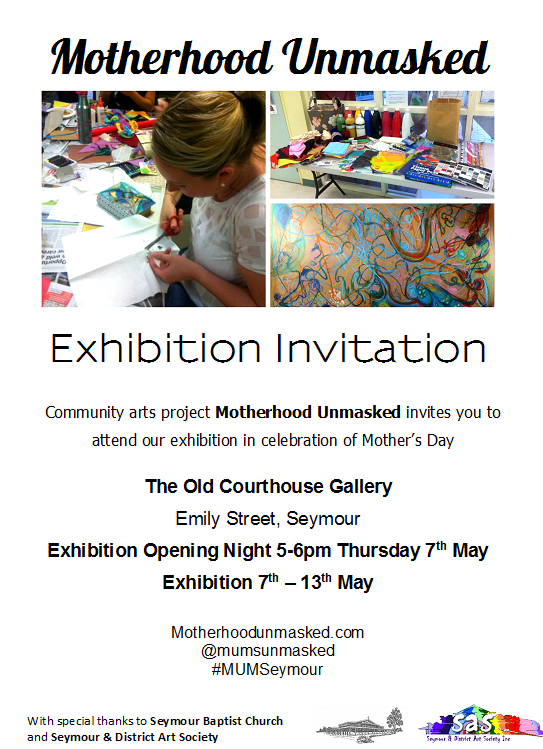 Thanks to all the mums who made Motherhood Unmasked Seymour so special.